The arrival of October in the UK means it’s almost time for the clocks to go back and, for many people, that means commuting in the dark. But what if you’re a cyclist? How do you manage the changes in weather and light? 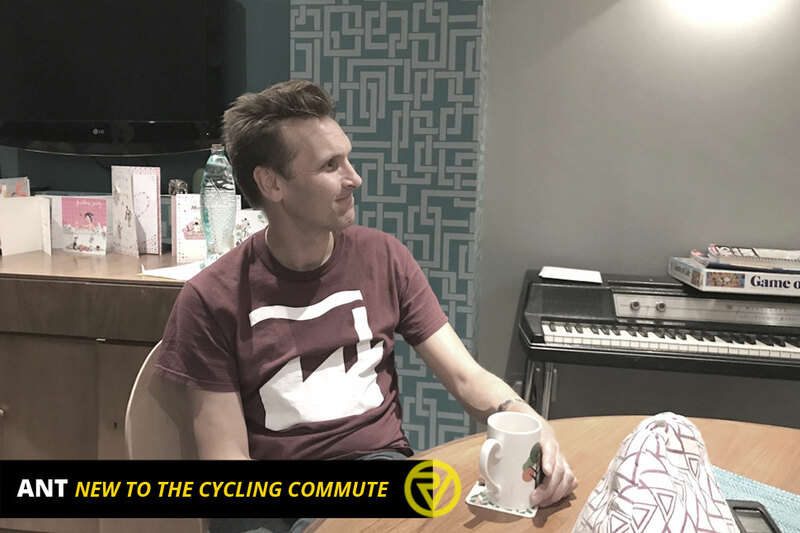 Proviz got together with two London-based cycling commuters and neighbours – Steve, a keen cyclist who has biked to work for the past three years, and Anthony, a recent convert to the two-wheeled commute – to find out what tips and tricks can help you through the darker days. 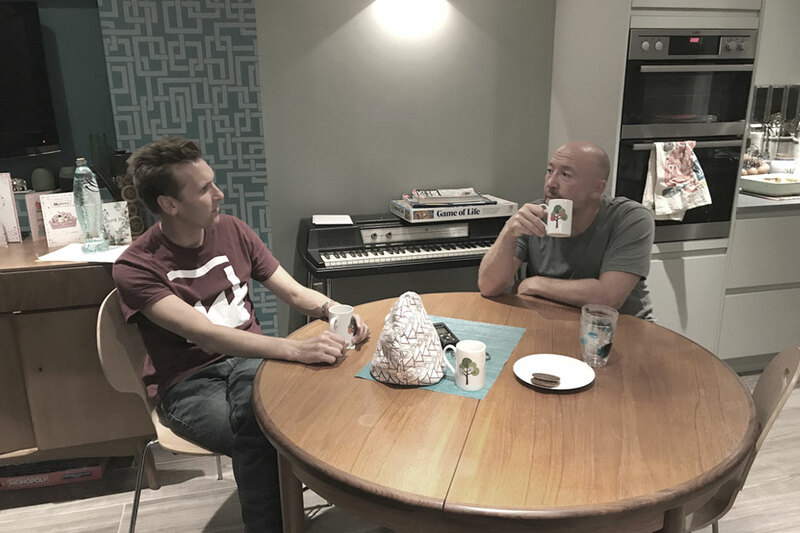 Anthony (left) and Steve (right) talk kit, gear and the elements over a cup of tea. Proviz: How long have you been cycling? Proviz: That was how you started? S: Yes, little sprint ones and then they got longer and then I got into Sportives. My wife and I have cycled John O’Groats to Land’s End. Proviz: So why did you decide to start commuting on your bike? S: I’ve been in the same job for about 20 years and caught the train for most of that time. I only started commuting about three years ago. Before that I would catch the 5:30am train and go to the gym, get on a bike for two hours. After a while I wondered ‘why don’t I just cycle in?’ I work in London Bridge, so it’s about 30 kilometres each way. I probably do it three, four times a week. Proviz: How about you, Anthony? Why did you decide to start cycling your commute? A: I’ve been a Brompton person for seven years, taking a fold-up bike on the train and cycling at either end, but I was getting fed up with the inefficiency of the train service. I was chatting to Steve and he told me it was easy to get started. So, I decided to give it a go in June and have been doing it ever since. Proviz: Did you do anything to prepare? A: I work near Steve so I actually followed him the first time. He’d already worked out the best route and he stuck with me the whole way. S: I don’t necessarily go the shortest way, it’s probably about five kilometres longer than if I went direct but I try to avoid the really busy areas. I also tend to go in earlier because I really don’t like cycling in the traffic. I found it quite tough at the start. My normal cycling routine had been laps of Richmond Park or getting out into the Surrey Hills at 6am on a Sunday morning, so you’d be lucky if you saw 10 cars going by. Commuting with other traffic definitely took some getting used to. S: I’ve almost been hit a few times, so I know that there are certain junctions where you need to get yourself into a certain place so you’re not stuck on the wrong side of the road. A: When you don’t have that stress of worrying about the route, it’s a lot easier. You can concentrate on what you’re doing, rather than where you’re going. 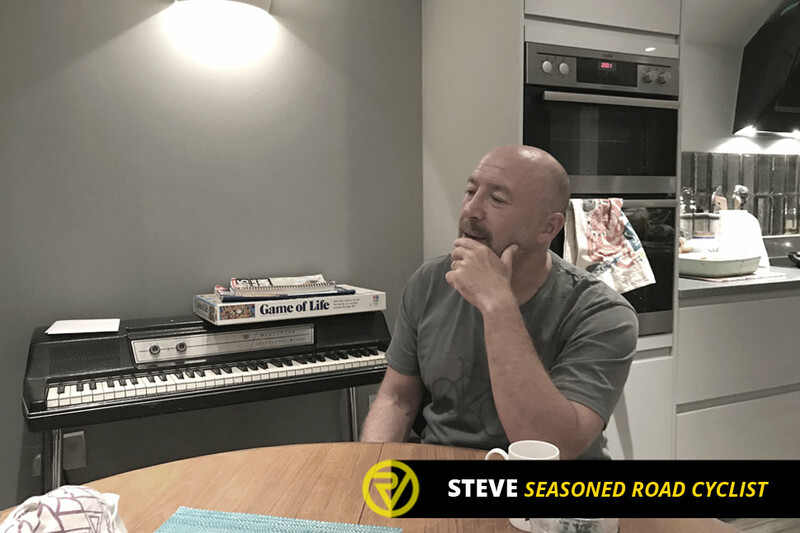 Proviz: So, the British clocks go back in a couple of weeks and, having done this for three years now, Steve, you’ve been through that change in season. Will Anthony need to think about different things? S: I think bike maintenance becomes even more important in winter, although I’ve told Anthony that I actually prefer cycling in winter and when it’s dark. The sun gets really low at this time of year and gets in your eyes. I actually think you have more chance of being seen in the dark – if you’ve set yourself upright. I have a lot of lights on my bike and some fluorescent gear on the wheels, so I think people can see me from a reasonable distance. Plus, there are actually fewer cyclists on the road. Some of the stress of commuting on the bike can be sheer quantity of cyclists. It’s a real battle to get to the front of a pack, or out the way. Some of that goes away in winter. Proviz: The light is definitely changing, so, Anthony, as a newbie what are you starting to think about? A: I’m starting to think about going through Richmond Park when it’s pitch black and how the hell do I see where I’m going? S: Someone said to me once you’re not a proper London cyclist until you’ve cycled around Richmond Park in the dark. Proviz: I guess there are no street lights? S: No, but plenty of stags wandering about in the dark! A: That’s the thing! Do I need to think about a new route? S: No, definitely keep going through the park because it’s locked to cars outside of daylight. You need to buy some proper lights, though. 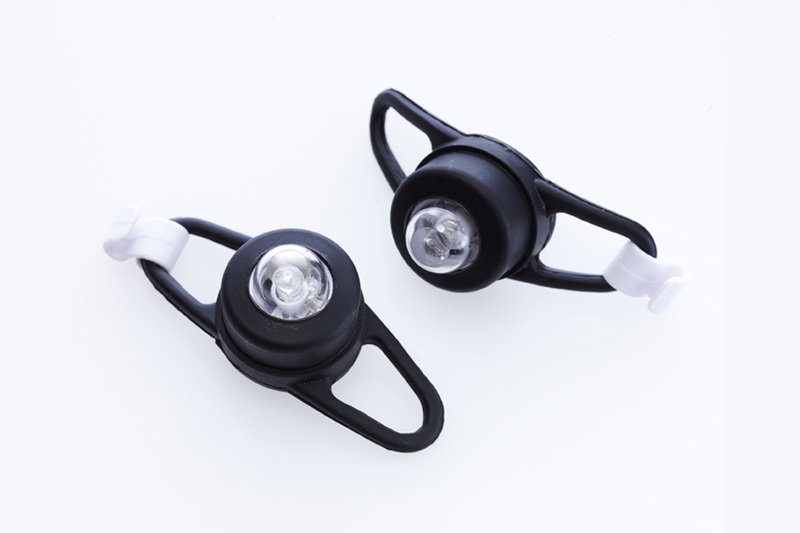 I’ve done road and mountain biking and when you’re mountain biking you need a better light than you’d normally want for commuting – it’s a trail light so you can see the track in front of you. I don’t use it on the streets because it would blind the drivers, but it’s really handy in the park. Proviz: How many lights do you have? S: I’ve got two sets of lights. I’ve got the mountain bike light and one that flashes on the front, plus I’ve got a light on my helmet. A: So, you think it’s okay in Richmond Park in the winter, it’s not too icy? S: It can get a bit icy. A: Do you change tyres? S: I’ve got the same tyres on all year but they’ve got pretty good grip on them. I would suggest taking the pressure down a bit. I’ve read that lower pressure gives you more surface area on the road. A lot of people say you should do the same when it’s wet. 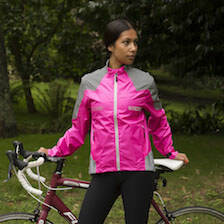 Proviz: Do you change what you wear in the autumn/winter time? S: Yes, it starts to get colder in the mornings in early September but you find it can be 20°C in the evenings, so you’re boiling pretty quickly. Mind you, in the morning you might leave cold, but you’re really warm within 20 minutes, so I take a lot of layers. A: What would you say is your most important piece of kit at this time of year? S: I’ve got bad circulation and get really cold feet and hands so, for me, the most important thing is gloves, otherwise I can’t pull the brakes properly. A: I get really cold hands, too. I’ve got a pair of gloves, but I think I need to get some new ones. S: I have foot warmers too – three different pairs for autumn and then the depths of winter. They’re warm and they’re reflective, too. I’d get overshoes as well. I wear the same shoes but the overshoes change – they’re generally a bit thicker. I’d also get a buff for your neck and face. I definitely increase the amount of high-visibility gear as well and wear things that are reflective and I put a reflective cover on my backpack. 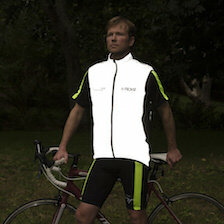 You basically go warmer and more reflective. 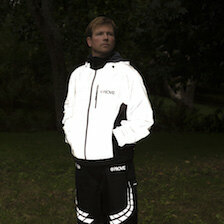 Proviz: What about if it’s raining and dark? Do you do anything different? S: I go a bit slower and you have to bear in mind that it takes about three times the distance to stop when the road is wet. It’s the same as in a car. The other thing I’ve discovered is that when it rains hard manhole covers and drain covers turn into ice rinks, so you have to mindful of those. You’ve got to slow down enough to see them and pick your route so that you don’t hit them. I put extra lights on in that weather, too. I have one that goes on the seat post, one on the rucksack and my helmet has a back light. A: I need to get some more lights! 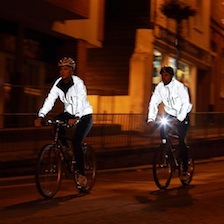 The Classic Sirius LED lights can be mounted to bikes, rucksacks or helmets to increase visibility at night. Proviz: Are you feeling a bit apprehensive? A: No, I’ll give it a go, I think there’s going to be some more scary moments, but I’m learning that you just have to take your time. S: I never worry too much about how long it’s taking me. I just want to get there safely. And it’s still faster than the train. Proviz: Has Anthony done this in the best way, then, getting used to the route in summer? S: Yes, I think so. You can work out which road you want to take and get a bit fitter which will help. When you first start you tire quite quickly, which can make it harder to concentrate, which is crucial at any time of year. 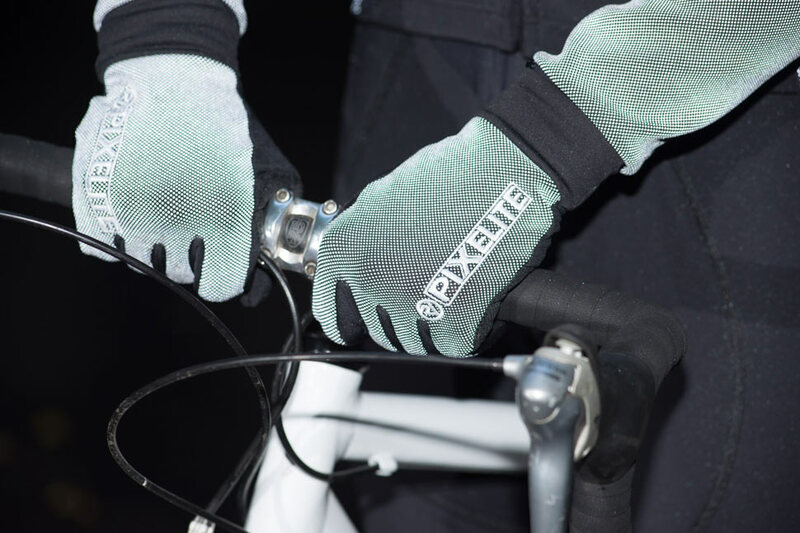 The PixElite performance cycling gloves combine a windproof and breathable outer layer with maximum reflective capability. Expect other people to do the most stupid thing you can think of. It makes it a little easier if you’re hyper-aware. Go with a cycling buddy, if you can. Following someone when you’re first starting out helps you learn your route and its pinch points. It’s also extra motivation to get out the door first thing in the morning. Get your kit sorted – your hands and feet are going to get cold, so invest in some good gloves and overshoes. Make sure you have plenty of lights!